This man publicly preaches the teachings of Paramahansa Yogananda dressed in blue as a monk and then introduces himself as the only direct disciple living in Europe of Paramahansa Yogananda. J. Donald Walters, alias "Swami" Kriyananda, by his own admission, publically renounced in 1985 his renunciant vows taken with Yogananda's successor Sri Daya Mata, many years ago. Therefore he is not a "Swami" anymore, as his two marriages confirm and the fact that he created his own order which has nothing to do with the ancient Shankaracharya order that Yogananda belongs. He is not a monk in the SRF monastic order founded by Paramahansa Yogananda because of his dismissal in 1962. His personal project to create "colonies of world brotherhood" and pursued stubbornly for more than thirty years, was stranded on the sands of the trial Bertolucci, bringing the community and the people that had believed in him and to his promises to bankruptcy. In this site written by former members to provide answers for the many questions, you will find articles, documents and testimonies that explain the reasons for this failure and how an idea of life in community may become the cult of a single personality. Table of authorities when Walters was alive. Who is entitled to initiate others in Kriya? "Do not discuss, or divulge, any technique without first consulting with SRF headquarters, which reserves the sole right to give Kriya instruction, or to appoint a qualified SRF member to give such instruction. If you know of someone who you should have the benefit of certain SRF techniques, encourage him to become an SRF student, that he may receive the full benefits of study. If some difficulty stands in the way of his becoming a member, advise him to write directly to Self-Realization Fellowship, explaining his situation and affirming his sincere desire to receive instruction in specific SRF techniques." SRF Praeceptum Lessons, 1938 copyright, K-7, pg. 3. "It is our policy to permit only ordained ministers to give the Kriya Yoga initiation. Master said that after his passing he wanted only ---SRF renunciates to be ordained as ministers, and at that only after a minimun of seven years in one of our colonies..."
This site is born in service and is the collaboration of the work of many devotees. 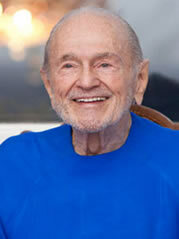 It springs from the need to provide information concerning issues surrounding Ananda and Kriyananda. We report on a variety of subjects including the several lawsuits that J.Donald Walters, aka Swami Kriyananda,* and Ananda, the community he founded, have been involved with. This work is intended to provide background information and support for those people searching into Paramahansa Yogananda's teachings who may have heard or been involved to some degree with Ananda. Here you'll find many documents: articles from devotees, former Ananda members, legal trial documents, and open letters from world-wide sources that may help to show how Ananda became a personality cult of Donald Walters, and not an extension of the vision of Paramahansa Yogananda. Paramahansa Yogananda founded his organization, Self-Realization Fellowship (SRF) in 1920, in Los Angeles. He dedicated SRF as the organization authorized to spread world-wide these teachings. Paramahansa Yogananda revered and respected all true religions, but he linked his particular teachings to the church he founded, Self-Realization Fellowship. To understand the array of topics covered here, navigation has been provided by “cards”, you can proceed reading card by card by clicking above in the "next card" buttons. If you wish to proceed directly in the Archives-Downloads areas click here. * The readers should be informed that in this site we refer all the informations to "Swami Kriyananda" alias James Donald Walters, the Ananda Village founder and Spiritual Director of the Ananda Church of Self Realization (see a picture). Any others who have the same name are not involved anyway with the subject of this site. Arrested nine members of Ananda Assisi community, pending call for arrest also for James Donald Walters aka Kriyananda, still retired in India. Finally available for all the readers, the complete book reporting all the sessions that the Court carried out gathering the deposition of Mr. J. Donald Walters in the Bertolucci trial. A book that includes precious information and declarations useful for better understanding the story of Mr. Walters and of his Ananda world brotherhood community. A book dictated by his author under oath, and that objectively tells from his founder’s point of view the true story, the raise and the growth of Ananda. Finally collected and arranged in a fluent reading format, which allows the search for names, dates, and key words thanks to the computer advanced search functions. A necessary format for those who want to learn point by point Kriyananda’s objective version on the action brought by Mrs. A. M. Bertolucci against the Ananda Church of God Realization.